Appeal after man assaulted and robbed in Otterbourne. We’re carrying out enquiries and regular patrols after a 42-year-old man was assaulted and robbed in Otterbourne. 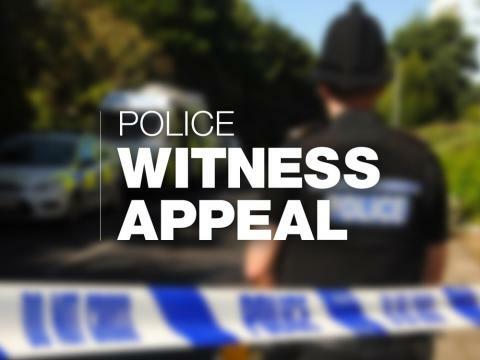 At some point between 11pm on Saturday 23 February and 1:30am the following morning the victim, who was pushing his bicycle along Otterbourne Road, was approached by four men. The men assaulted the victim, leaving him with cuts to his wrist and knee. He was also punched leaving him with a black eye, cuts to his face, and he has subsequently been treated for a bruise to the brain. The men took his folding mountain bike, which had a grey frame and green forks, and his wallet. Aged in his late twenties. He had dreadlocks that were around 5ins long. He was wearing a black baseball cap and a black hooded top. He had ginger coloured hair. He was wearing a dark puffa jacket. He had black curly hair and a beard. He had black hair and a scruffy beard of different lengths. Sergeant Bethan Wood from the Winchester rural Neighbourhood Policing Team said: “This is a very rare occurrence for Otterbourne, we haven’t received any similar reports in the area. I’d urge anyone who saw anything suspicious or who recognises the descriptions of the men to contact the investigations team by calling 101. “The Neighbourhood Policing Team will be regularly patrolling the area and any residents with concerns can speak to one of these uniformed officers, or can e-mail winchester.rural.police@hampshire.pnn.police.uk“.